Despite the rise of social media e-mail remains an important method of customer communication for businesses, and Microsoft Outlook is an important part of e-mail. The MessageExport add-on for Outlook, by Encryptomatic LLC, is a leading tool for accurately converting Outlook mail to Pdf portable documents. MessageExport is used extensively in the legal, insurance and government industries. It excels at automating multi-step export processes. If your boss asks you to convert messages from a client to PDF and place them on a shared drive, this seemingly simple request can actually encompass several complex steps. Converting e-mail to PDF begins to become complicated as we consider the problem of e-mail file attachments. MessageExport brings email-to-PDF conversion to the Outlook context menu. As the video demonstrates, using MessageExport is a simple as selecting the individual e-mails or the email folders, and clicking the "export" button. 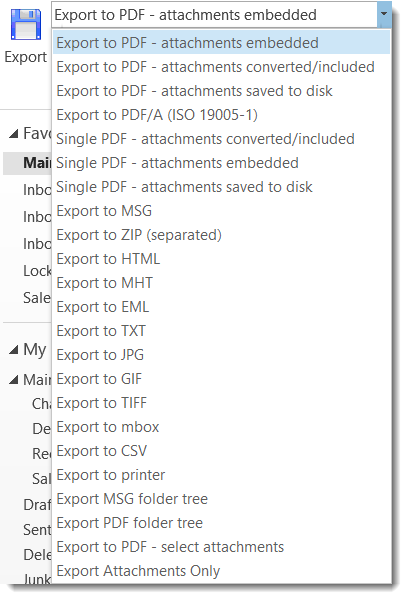 Some of the options that MessageExport brings to Outlook include create a PDF file with the file attachments embedded within the PDF document; attachments converted and appearing within the PDF document image; saving the attachments to disk, separate from the PDF file. Multiple emails can be saved into a single PDF document. MessageExport also supports the PDF/A (ISO 19005-1) specification. MessageExport also brings other formats to Outlook in addition to PDF. These include MBOX, MSG, ZIP, EML, MHT, HTML, JPG, GIF, CSV, GIF, etc. 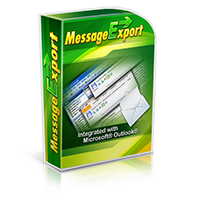 Learn more about MessageExport by downloading the free trial software. If you have any question, please post in the comments below.